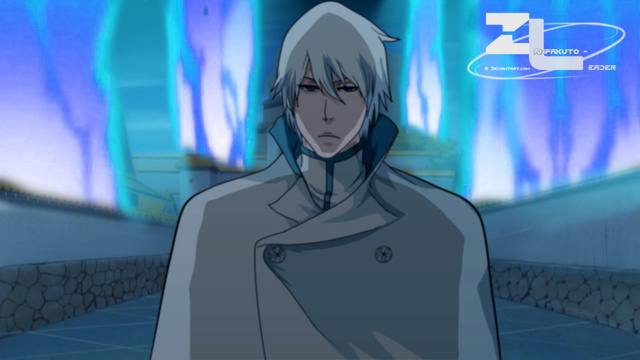 Gin has a pragmatic approach to life and strong will, he is most of the time without blatant emotions. Unlike his comrades who love treasure and riches, he only desires fame, and sees that as the greatest treasure. Reputation and foreboding power does not make him overconfident, but he is fearless and usually determined when his mind is set. He does not see any cause for alarm on any decision he has made and will generally just try to fix a problem he has caused rather than make it known. However, he is thoughtful enough to apologize if his mistakes are brought out. Though he may seem to have an great ego, deep down he is fully aware of his own mortality. He sees children as keys to the future, and that their lives are far more important than his own. One way to appease him involves bringing and sharing with him a drink (preferably of high quality and very expensive) while striking up a conversation. However, this does not guarantee complete cooperation from him, judging from the nature of the conversation. 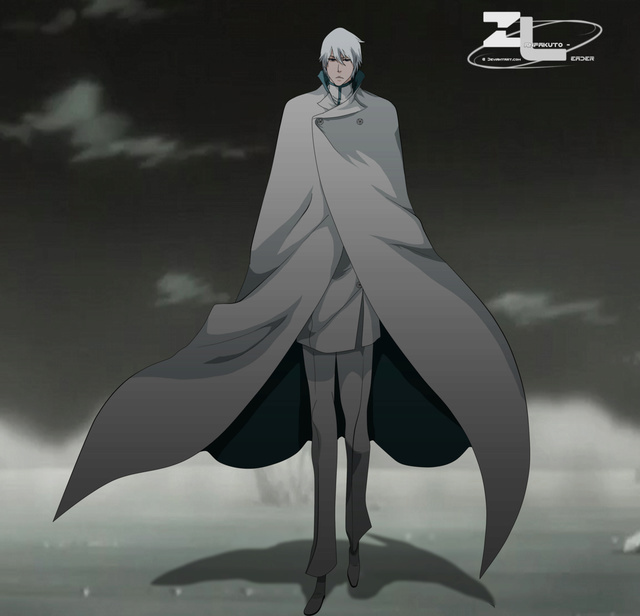 Gin has high moral standards: He tries to never kill no matter the reason, and believes that a man cannot live without some form of moral code, he refuses to fight someone blatantly weaker than him, and doesn't hit women. He under certain circumstances is willing to go against his moral code. Like most characters in One Piece, Gin has a unique laugh, which is "Ka ha ha ha ha ha". Gin personal view on himself as man is that of a warrior and anything less would be unworthy of him. Job and Sea Knowledge - As a Shipwright he can easily repair any ship with the exception of few and build one within a day. His leadership skills are excellent when he desires to use them. He has at least a decade worth of experience in navigating the harshest oceans within the volatile "New World". Jio-Ken - is a martial art style that allows practitioners to utilize strong and speedy attacks such as fists and kicks in their old age. The user's physical body becomes so strong, they aren't affected by physical pain. The user can also utilize qigong to store up their energy from youth for future usage. Single Finishing Strike - A fast paced single weapon base style combining the use of Gin's katana: Nadegiri, and his special mark. Gin teleports to a the blades, catches the hilt in hand, to instantaneously deliver a swift, devastating slash to his opponent after throwing it. Because of the speed of the technique's execution, having fruit like the Light Light are the only way to have enough speed to defend themselves against the style. With enough training like Gin someone could predict the movements of the style based on the way the blade is thrown, but even then it's difficult to stop multiple attacks as Gin usually uses other distractions and follow up attacks to increase its effectiveness against Kenbunshoku haki. Herculean Strength/Busoshoku Haki - Gin can use Busoshoku Haki to imbue his limbs and release the energy on contact with a target, causing severe damage. However as powerful as it is, He doesn't use this advantage always since he is naturally very strong, enough to lift three ships over his head with one arm and crack a cannonball. His physical accomplishments using Busoshoku Haki, whatever the cause, include: creating a fissure in the ground by striking it with one finger; breaking six of Yokohama's ribs, both of his arms, and rupturing several of his internal organs, one of two near-death experiences in his life while Gin only used two punches and Yokohama was blocking. Haoshoku Haki - Gin is capable of using Haoshoku Haki, an ability that only one in a million people can use. Gin is able to frighten off large creatures with a single angry glare using this ability. Kenbunshoku Haki - Gin is extremely proficient with sensing individuals, enough to tell the exact location of someone countries away. He also uses the ability to precisely predict a person's attacks by focusing on the tensing of the muscle. Instant Death Mark - Gin's Signature technique the Instant Death Mark. Using the technique he can instantly teleport to the location of anything or anyone marked with his special mark. By tagging an area with marked Nadegiri replicas or simply throwing the sword with precise timing, he can move around an area quickly and strike at the most opportune moment. Gin is not limited to teleporting himself, as he can bring others with him, though he needed to provide the energy for their transport. Whether remaining in direct contact with his target or not, and as long as they have the mark, he does not need to accompany who or whatever he is teleporting. The ultimate usefulness of the mark comes from the fact it can't be removed by anyone but Gin, even after his death. Nadegiri - Gin's custom-made blunt sword and signature tool, who uses it in conjunction with his Special Mark: Instant Death Mark. It differ from a standard sword in that it has the ability to replicate itself a thousand times and the handle is thicker than normal) which carries the "marker" for Gin's teleportation. Gin comes from the West Blue and, in his past, was a member of Yokohama's crew as a sixteen year old shipwright. Young and ambitious Gin saught to make his own name. Which he did fairly easily but that wasn't enough. He felt he was too weak and after ten years of training he challenged and beat Yokohama. Gin figured this would attract stronger pirates to challenge him so he fled and seeing the error of his ambition, he became a freelance hired hand. He hid his ties to Yokohama and made effort to live a decent life.